Over the last few years, I have been getting more and more questions about CSRS Offset and its relationship to certain Social Security rules, such as the Windfall Elimination Provision (WEP) and Government Pension Offset (GPO). This uptick in questions is likely because those who fall under CSRS Offset are at the cusp of retirement. This article is written for those who fall under the CSRS Offset system. Others may find it interesting, if not applicable to their specific situation. Had five or more years of creditable civilian service as of 12/31/1986 (the day before FERS). Had a break in service of over 365 days. Were rehired following a break in service at any time after 12/31/1983 (the day before all newly hired federal employees must have been covered by Social Security). Individuals under CSRS who fit the above definition should have been given a choice of electing FERS or choosing CSRS Offset upon their return to federal service. CSRS Offset employees, like FERS employees, must have Social Security taken out of their federal salary. When a CSRS Offset person retires, they get a regular CSRS pension until they reach the age of 62. At age 62, their CSRS pension is reduced (offset) by the value of the Social Security that they earned while covered under CSRS Offset. 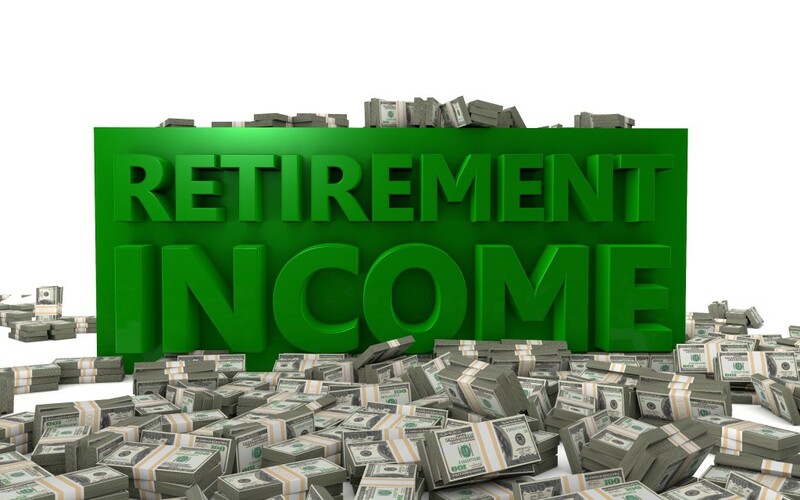 If they retire at age 62 or over, the offset takes place immediately upon their retirement. The offset will take place even if they choose not to apply for their Social Security. The reduction is determined in all but a few situations by dividing the number of years of CSRS Offset service by 40 and applying the resulting fraction to one’s age 62 Social Security benefit. The 20 years of CSRS Offset service is divided by 40, giving a fraction of ½ (50%). The reduction to Debbie’s CSRS pension is 50% of her Social Security benefit, or $6,000 per year. This reduces her pension to $54,000 per year. Assuming Debbie applies for her Social Security at age 62, she will receive the entire $12,000 per year Social Security benefit. Debbie’s benefit will consist of her reduced CSRS pension ($54,000 per year) and her Social Security ($12,000 per year) for a total of $66,000 per year. In the example above, Debbie had 20 years of CSRS Offset service where Social Security was being taken out of her federal salary. This fact may result in her Social Security being subject to a reduction from the Windfall Elimination Provision. The Social Security System has a need-related twist in the computation formula that is designed to replace a much greater portion of a low wage earner’s income than that of the high wage earner. CSRS employees, and others who have earned a retirement benefit based on work that was not covered by Social Security, are likely to have many years in their Social Security earnings record where they had little or no employment covered by Social Security. They would look like a low wage earner to the Social Security system, even though they had been working at a good job and earning a pension the entire time. Debbie, in our previous example, had at least ten years of CSRS coverage where she was not having Social Security taken from her federal salary. Unless she has at least 30 years of “substantial earnings” in Social Security covered employment, her Social Security benefit will be reduced by the WEP. Social Security benefits are based on your lifetime earnings. The following is how they are computed in 2016. Your lifetime earnings are indexed for inflation. The highest 35 inflation indexed years are added together. If you are affected by the WEP, the multiplication factor for the first “bend point” above will be less than 90%. How much it is reduced depends on how many years of substantial earnings you have under Social Security. If you have 20 or fewer years of substantial earnings (like Karen) your benefit will be computed using a 40% factor. For years over 20, the factor increases by 5% a year until it reaches the full 90% after 30 years. This Social Security Factsheet on the WEP has a chart on what constitutes substantial earnings. At the time this article was written, Social Security had not updated the publication for 2016. Due to the fact that there was no COLA on Social Security benefits for 2016, there was no increase in the amount that is considered substantial earnings. Your Social Security Statement does not take the WEP into account. There is a WEP calculator on the Social Security website that can be used to determine how (or if) the WEP affects your Social Security. Back to Debbie and her situation. We’ll assume that the 20 years of CSRS Offset service she has are her only years of substantial earnings under Social Security and that she is fully affected by the WEP. The $12,000 per year estimated age 62 benefit from her Social Security Statement will not be what she is entitled to receive because of the effect of the WEP. The maximum reduction that the WEP can cause is $5,136 per year. As Debbie will, unfortunately, be subject to the maximum reduction, her annual Social Security benefit will be reduced to $6,864 per year. In calculating her Offset (under the CSRS Offset retirement system) the WEP is applied first and then the Offset is applied. Here’s a re-calculation of her benefits using a Social Security benefit that is reduced by the application of the WEP. The reduction to Debbie’s CSRS pension is 50% of her Social Security benefit, or $3,432 per year. This reduces her pension to $56,568 per year. Assuming Debbie applies for her Social Security at age 62, she will receive the entire $6,864 per year Social Security benefit. Debbie’s benefit will consist of her reduced CSRS pension ($56,568 per year) and her Social Security ($6,864 per year) for a total of $63,432 per year. She still comes out ahead. It is unlikely that the Government Pension Offset will affect Debbie (or most CSRS Offset employees for that matter). The GPO reduces (usually eliminates) any Social Security benefits to which you would be entitled based on the earnings of another (i. e., spousal or survivor benefits). CSRS Offset retirees are exempt from the GPO once they have spent five years covered by CSRS Offset. I need an original document that proves that I am in fact a receipiant of a government pension. This is for an annual accreditation regarding my yearly lease at my independent retirement facility. Will you send me the latest statement of pension earnings for Helene M Shapiro. These can only be obtained by reaching out to OPM. Please give OPM a call at (888) 767-6738.